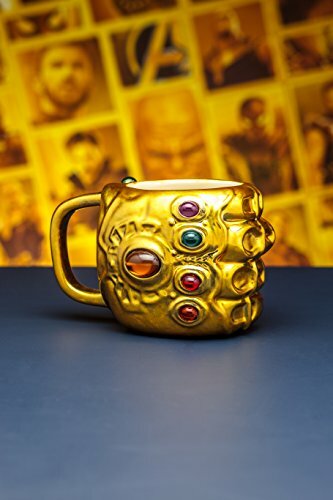 Super cool mug , oversized and simply awesome ! 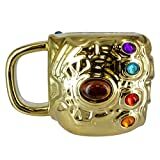 N10BD Marvel Avengers Thor's Hammer Large Pewter Keyring (Grey)"
Hold the power to do what you wish when you drink your favourite hot beverage from this Marvel Infinity Gauntlet shaped mug. 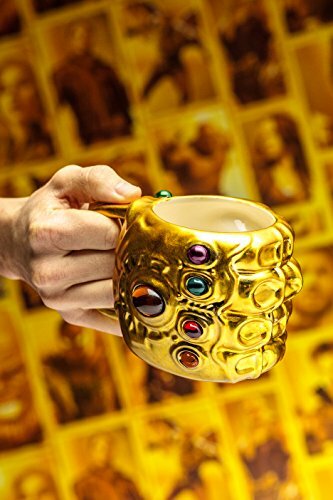 Take a break from your next adventure and have a cuppa in this super-cool ceramic mug in the shape and design of the Infinity Gauntlet, featuring all six Infinity stones. 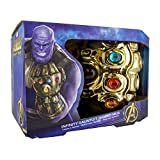 This is a magnificent gif for fans of the Marvel Avengers Infinity War movie and is a great, fun piece of memorabilia. The 19th addition to the blockbuster franchise sees the largest ensemble cast yet for a Marvel film, with the Avengers teaming up for the first time with the guardians of the galaxy. 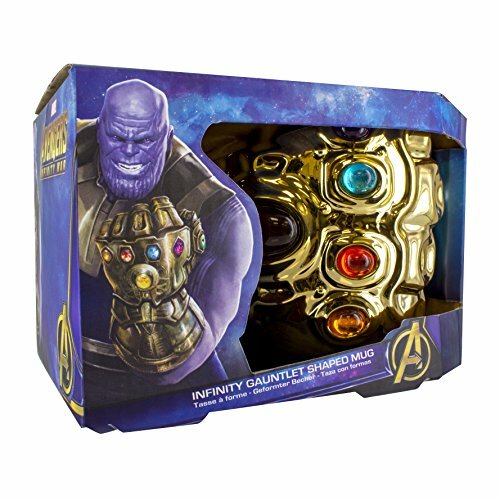 The film also celebrates the 10th Anniversary of the Marvel cinematic universe, meaning demand for Avengers themed gifts and product will be as high as ever. The Marvel Infinity Gauntlet shaped mug is an officially licensed Marvel product.